In the two years of being a resident of Uptown Charlotte's Historic Fourth Ward, I have encountered many homeless, disabled, and addicted individuals. The old struggle always weighs down: "Is the money I give them actually helping, or is it contributing to something that is keeping people sick and/or homeless?" Determined to find a way to effectively help my community, with the comfort of knowing my contributions are helping to provide real, life-changing differences in my Charlotte community, I researched Charlotte non-profits, and I reached out to the Men's Shelter of Charlotte to set up a meeting to learn more about their mission. I was floored with the genuine passion of the Men's Shelter Directors and Staff. Not only does the Shelter focus on providing for the immediate needs of overnight shelter, but also providing consistent support and guidance to help the men obtain employment and, ultimately, their own home. We are so happy to have the opportunity to partner with the Men's Shelter of Charlotte and commit to sharing 15% of the net proceeds of every coaster sold. Coasters For a Cause make the perfect gift for any occasion! Personalized sets are also available for a small premium. 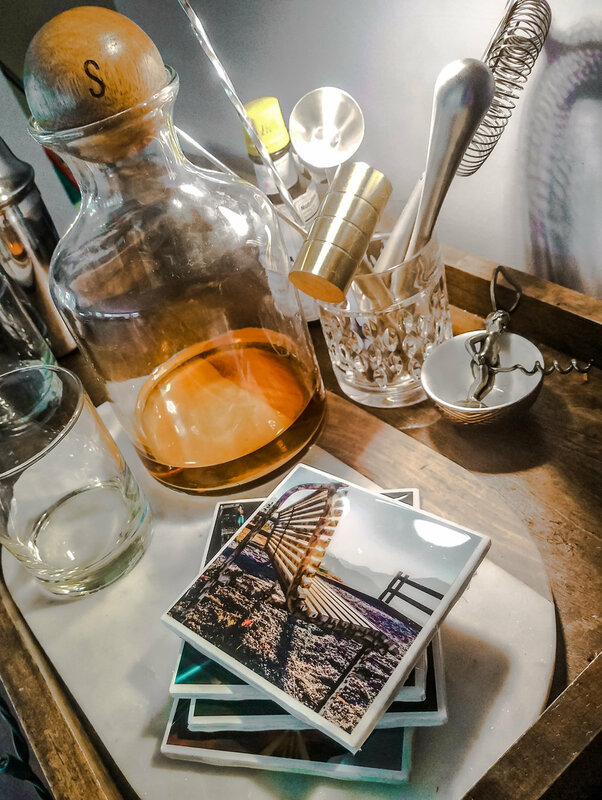 Weddings - show your partner or friend that you are thoughtful, keeper material by giving them a set of coasters that display some of your favorite moments together. 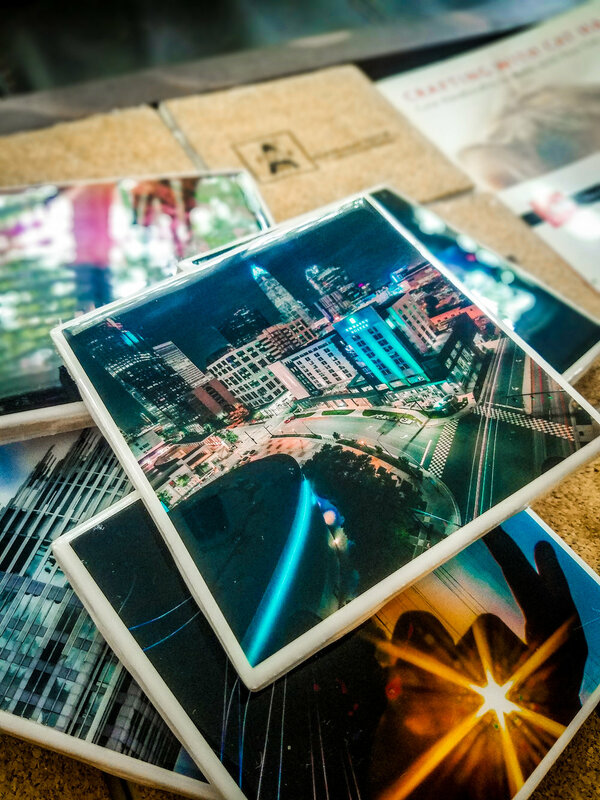 Realtors: Coasters or prints make for a pretty awesome closing gift for clients! Bulk/contract pricing available. Local Businesses: Custom shots of your business or products put on coasters for retail at your establishment. To stay in the know regarding new products and promotions, sign up on the mailing list!